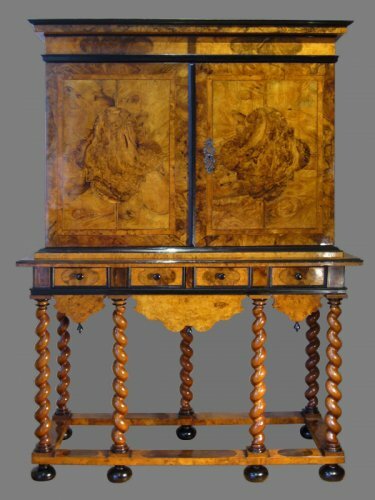 The cabinet of the 18th century combines elegance and function with refinement. Richly decorated, it is a veritable feast for the eyes within as well as without. 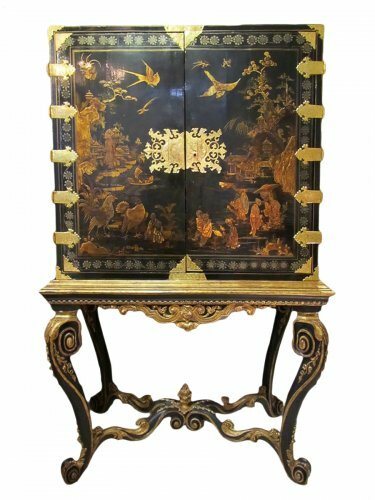 With marquetry, veneers of ebony, burl walnut or blackened pear wood, black and gilt lacquer inspired by the Far East, inlay of hard stones, tortoiseshell or ivory, it spotlights exceptional artisanal craftsmanship. Coming from Italy, Germany, Portugal or Flanders, the cabinet celebrates new influences that seduce bourgeois French interiors. 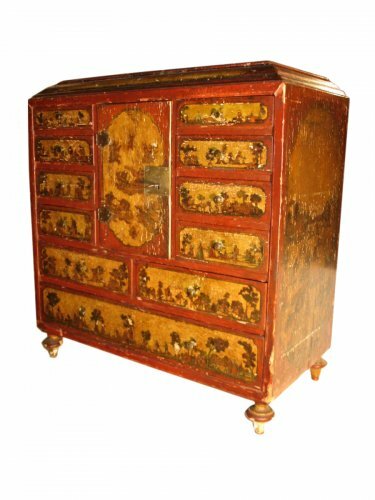 In the 18th century, it is a piece of furniture intended for jewels and precious objects. To this end, its facade includes numerous small drawers whose interiors are covered with fabric. 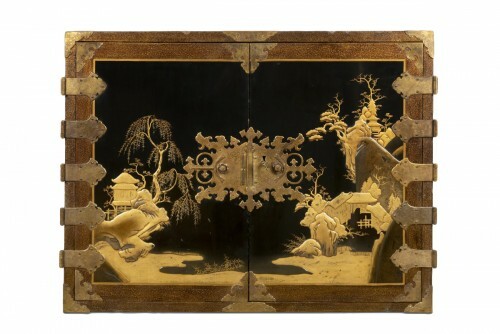 Laden with paintings and raised carvings, it celebrates the gilding and lacquerware of the Far East.